The BusinessesForSale.com franchise section is powered by our sister website, FranchiseSales.com. 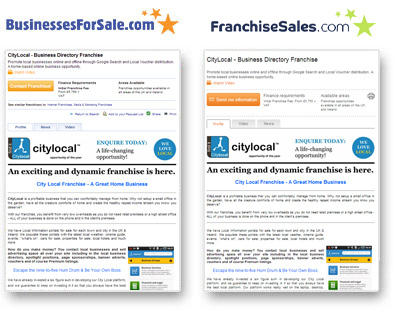 Your franchise will be automatically placed on both websites. Competitive pricing – packages start from €199 (+EU VAT) per month. We work with a number of partners, including the Financial Times, and together we are responsible for over €1billion worth of business, franchise and property sales every year through our classified technology platforms.